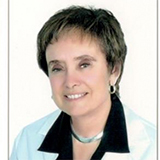 Dr. Ellen Snowden is an Obstetrician-Gynaecologist, Reproductive Endocrinology and Infertility. She received her medical degree from Boston University School of Medicine and has been in practice for 37 years. Dr. Ellen's specialisations include Infertility treatment, Laparoscopy, Hysteroscopy and other Obstetrics & Gynaecology procedures. Before joining Fakih IVF, Dr Ellen Snowden was a Medical Director at Pacific Reproductive Centre in Dubai, and prior to that a Consultant IVF at Al Noor Fertility Centre in Abu Dhabi. Memberships include: American Society for Reproductive Medicine American College of Obstetrics and Gynaecology University of Illinois Alumni Association American College of Physician Executives American Medical Association.